Bomas of Kenya was established in 1971 by the Kenyan government, and opened for business in 1973 with the aim of promoting and preserving the country’s diverse cultures. Bomas of Kenya has more to offer in addition to Taarab Music, Kalenjin warrior dances and vigorous Embu drumming are among other captivating performances. Traditional home steads of various tribes present visitors with good opportunity to taste Kenya’s diverse traditions and cultures. Kenya occupies an almost unique position in Africa as a cross road of major ethnic groups. These can be divided into Bantu, Nilotic, Nilohamitic, Kalenjin, and Hamitic. Two separate halls and a large one with a sitting capacity of up to 4,000 people, an enclosed open space with all the amenities ideal for picnic functions: a large and well – equipped children’s play ground: outdoor soccer and volleyball grounds: a secure car park for over 3000 cars. There is also a well – equipped kitchen and bar able to hold cocktail parties, barbecues for parties. Traditional African dishes are served with a wide selection of popular dishes, succulent charcoal grilled meat and more. It is located in Langata about 20 minutes (10 km) from the capital Nairobi. Bomas of Kenya is adequately served by public transport. 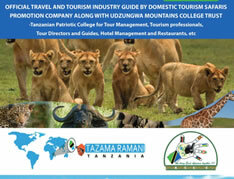 Important information and costs contact travel and Tour operators or your hotel in Nairobi. The Aberdares is the established name of a mountain range. Part of the range is protected as the Aberdane National Park and encompasses all land over 3200 metres and a projection due east known as the salient, which reaches down to 2130 meters near Nyeri town. The Park is a fairly land, awesome in its majesty and beauty. The intrepid scot Joseph Thomson, who explored the region, named the range after the then president of the Royal Geographical society 1883, lord Aberdare. However, the Kikuyu had “Nyandarua” as the name of the Mountain ranges, meaning “drying hide” because of the shape of its silhouette. Another source provides an alternative to the meaning to the Kikuyu name “mountain of sleeping places”. 15 km from Nyeri airstrip and 40 – minute drive from Nanyuki airstrip. Contact travel and Tour operators for an inclusive tour packages. Created in 1946. It is amazing that this small park, a few minutes by car from the center of the country’s capital, can offer such a variety and high number of wild African fauna, both species and individuals, living in a natural state. Location: A short distance from Nairobi Area: 11,400 ha Protection: Total: many staff; 1660 km of car roads; visitors very numerous. The park is part of a high plateau, its flatness broken by a hilly forested area, a shallow escapement, and deep river valleys. A stretch of the Athi River. Secretary bird is a common sight in Nairobi National Park. Dik – dik, a small antelope flows through the park, and there are also small water pans and artificial water supplies. Open grass lands alternate with tree savannas. Grass cover consists of Digitaria macroblephara, Pennisetum mezianum, Bothriochloa insculpta and Themeda triandra with scattered shrubs and acacias. Riverine vegetation along the Athi river is mainly Acacia xanthophloea, A. Kirkii and Ficus sycomorus. Semi evergreen forests on the park’s western border include wild olive and Croton megalocarpus. Mammalian fauna of the park include Thomson’s and Grant’s gazelles, Impala, waterbuck, eland, bushbuck, steenbok, suni, kirk’s dikdik, duiker, Kongoni (coke’s hartebeest), black wildbeest (white tailed gnu, buffalo, zebra, giraffe, black rhinoceros, warthog, olive baboon, vervet, Syke’s monkey, lion, leopard, cheetah, spotted hyena, black – backed jackal, Mongoose, and other smaller mammals. Hippopotamus occur in the Athi river and surrounding pools. BIRDS; The secretary bird can almost certainly be seen, as well as ostriches, vultures, francolins, guinea fowl, bustards, hornbills, and many others. Crocodiles occur in the river. pythons are rather common. This shallow lake has been steadily shrinking in size, probably a long process since the end of the last pluvial period. There are variations in level with exceptional rains. During the 1960’s the water was again high. The flamingoes frequenting lake Nakuru are of two species; the greater flamingo and the lesser flamingo, the latter congregating in large numbers. Estimates of more than three million lesser flamingos were made in 1972. Their food consists of blue – green algae and diatoms. Migrants from Africa, Europe, and Asia congregate at lake Nakuru together with species resident in the area; grebes (13 species), pelicans (two), herons (10), storks and ibises (11), ducks and geese (17), birds of prey (39), rails and gallinules (eight), crowned cranes, waders (32) , gulls and terns (six), and many more. The forests en circling the lake chiefly fever thorn trees, are also full of birds: pigeons and doves (six species), cuckoos and coucals (11), rollers (four), king fishers (three) bee eaters 1 five), hornbills (four), hoopoes (two), owls (nine) night jars (four), barbets (four), honey guides (four) woodpeckers (six), shifts (five) and nearly 200 passerine species. MOUNT KENYA NATIONAL PARK (KENYA). Strict, Geology, Mt. Kenya is an ancient volcano. In the past, glaciations was extensive and reached much lower down (to about 3,000m, revealed by moraines; lower slopes consist of volcanic ash. Topography; From the central peaks, numerous big u – shaped valleys (most beautiful is the teleki valley on the western slopes) radiate in various directions and are separated by pinnacled ridges. At higher valley levels are numbers of lakes and tarns. The mountain northern slopes class steep) are chiefly covered by a vast plain. Cutting, burning cultivation and heavy grazing have destroyed parts of the montane rainforest, formerly extending down to 1,370 meters but now not reading below 1,830 meters. Tracts of magnificent forests still exist of wild olives, camphors, podocarps, and cedar, decorated with lichens. Above are mountain bamboos up to about 3,400m. Wildlife is abundant in the montane rainforest and glades of mount Kenya, elephants, buffaloes, bongos, bushbucks, duckers, water bucks, elands, giant forest logs, leopards, servals, and many smaller mammals and numerous birds. Many of these species are also found on the vast montane savannas (3,500 – 4,500m) of the northern slopes, together with Kongoni (coke’s hartebeest) steenboks, zebras, and wild dogs. Leopards and spotted hyenas are common in these grassy highlands where there are also six genera of rodents and three of shrews, an astonishingly large number for the high elevation. Various birds of prey are very common, among them the magnificent crowned eagle and even the secretary bird (a lowland species). Created in 1948. This national park is the most important faunal reserve in Kenya and one of the largest in the world. Some zones of the park provide dramatic exhibits of animals from look out vantage points. Its arid, wild and rugged country contains much of the atmosphere of remoteness and peace of yesterday’s Africa. The park covers a large section of the sub desert, thorn bush steppe country, the so called “Nyika. It is the strong hold of game in Kenya and reveals the surprisingly high productivity of the arid bush when utilized by wild grazers and browsers. The park is contiguous with the west chyulu conservation Area, proposed as an extension of the TSAVO park: on the boundary with Tanzania, Tsavo national park borders directly on the Mkomazi Game reserve. CLIMATE: Warm throughout the year, varying according to the altitude: rain periods in April – May, November – December. The greater part of the area consists probably more than 600 million years old. Much later volcanic eruptions gave rise to the chyulu range and the Yatta plateau, the most scenic features. Volcanic cones and lava flows characterize the western area, including mzima springs, the main source of the permanent Tsavo R.
The elevation of Tsavo ranges from about 335 to 1,825 meters. Three rivers flow across the sandy undulating plains: the TSAVO, Galana, and its tributary, the Athi river. From a narrow Gorge the lugard falls of the Galana thunder down beside rocks fantastically shaped by erosion. The dry season presents an arid country of brown – yellow landscape with leafless acacia thornbush and sparse grass through the desert rise, a succulent shrub, is in full – bloom but with the first rains in April, the country bursts into fresh greenness and delicate flowers. The bush lands are dominated by acacia and myrrh trees with Baobabs conspicuous and two strange species of euphorbias. The highest tree of the plain is Melia volkensii. Among the flowering shrubs: Thunbergia affinis with dark bluish purple gloxinia like flowers, Cassialongi racemosa with sprays of golden flowers, and Ruttya fruticosa with red or yellow flowers. The common climbing flame lily with or chid like yellow and purple flowers is considered Kenya’s most beautiful wildflower. In the woodland savannas piptadenia hildebrandtii is fairly common; P. buchanani, in gallery forests or around oases, grows to almost 30m, together with coral trees, Erythrina abyssinica (coral red flowers), and E. Withering (flame – colored flowers. Elephant population, Buffaloes, are numerous. Many species of antelopes occur in various habitats: waterbuck, bushbuck, bohor reedbuck, steenbuck, kirk’s dikdik, duiker, red duiker, grant’s gazelle, Impala, gerenuk, hartebeest, klipspringer, lesser kudu, oryx, and Eland. There are also the giraffe, zebra, hippopotamus and warthog: also hyrax (2 species), the aardvark (antbear), and the porcupine. A large number of carnivores include wilddog, bat – eared fox, black – backed jackal, spotted hyena, striped hyena, aardwolf, caracal, cheetah, leopard, lion, serval wildcat, civet, mongoose (six species), cape clawless otter, honey badger (ratel), and genet: The lions of Tsavo became famous at the end of the last century for defying construction of the Mombasa – Nairobi rail road. About 500 species recorded, of which the following might be mentioned: eagles (5 species), vultures (4), bustards (four), guinea fowl (three), sand grouse (three), and hornbills (six). Among the numerous reptiles are African python, cobras (two species), puff adder, Nile crocodile, monitoring lizard and agama lizards (two species). Aruba lake contains tilapia and catfish.